Recently I visited Kansas City. I fell in love with the city (and who cant love those #KC ROYALS!). i wanted to create a fun look featuring my favorite Team Hat. I chose KC because I Love the city & The team. I am currently loving the cute shirt I paired it with an amazing skirt! I love adding a little bit of Glam with subtle look. 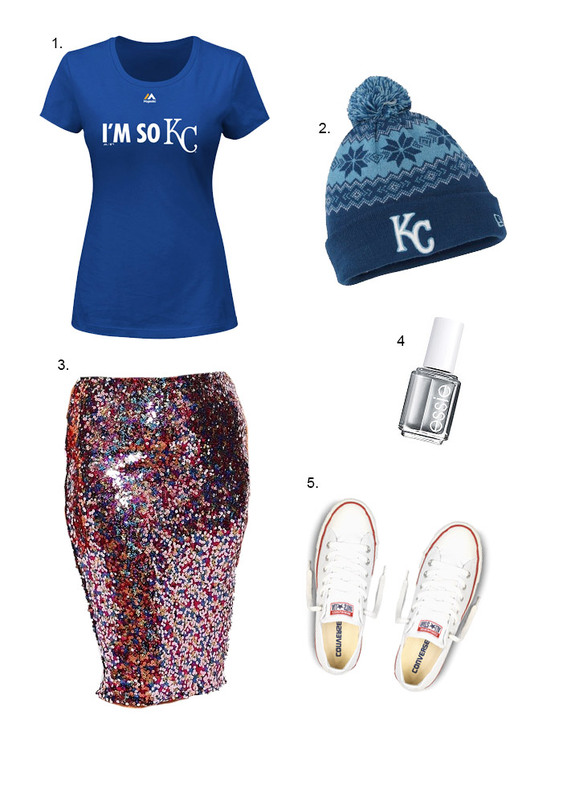 I am sort of in love with the with this cute KC Royals hat! I am so excited that they are the world series! I hope you love a little glitz with sports. Fun ways to really charm up your sports clothing. Be sure to check out all the great baseball hats and much more on Fanatics ! They have a wide selection of KC Royals stuff for all your needs plus more! I’ve recently decided to go on a mission to lead a healthier, and more active lifestlye. I just invested in some new gym gear from the Old Navy, It’s very comfortable and surprisingly affordable, It even makes you feel stylish! (Like you aren’t at the gym.) I am very excited to start this new chapter of my life on the road to happy & healthy. 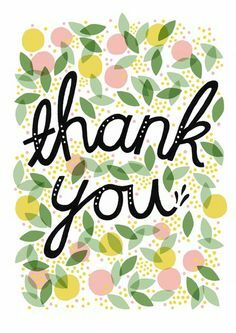 In lieu of yesterdays post, I just want to give a heart-felt thank you. Thank you for your kind comments. Thank you for the messages, Twitter messages, Instagram messages, and Facebook posts. I appreciate it. It was really very kind of you. It is great to know that people out there still are compassionate. I am going to keep shooting my looks. My new lens came in today. I am so excited to try it out! I hope that you won’t give up on reading my blog. *Please note from here on out all comments that are made are moderated. Hi Happy Tuesday. 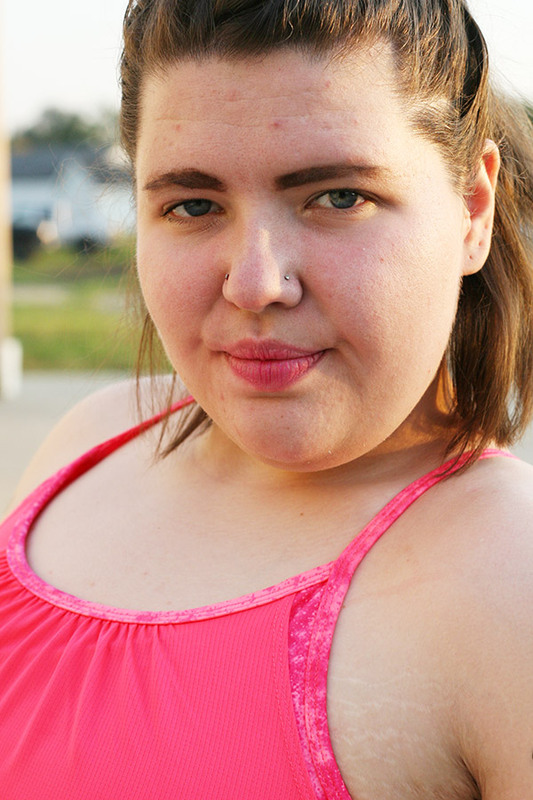 Today i thought I’d take a different spin on the blog. I am going to talk a little more a bout college. As you know i am attending college. 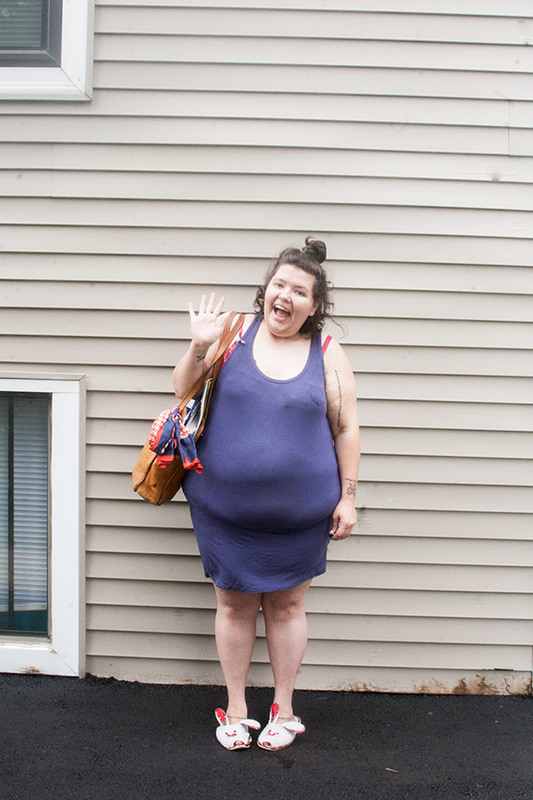 I am only 27 (I know what you are thinking you dont look 27) I decided to go back to school last semester. My first stent in college resulted in my achieving my bachelors degree in fine arts. It didn’t pan out in terms of a career. I decided to studying something else. I entered school i realized there were a lot of older students. 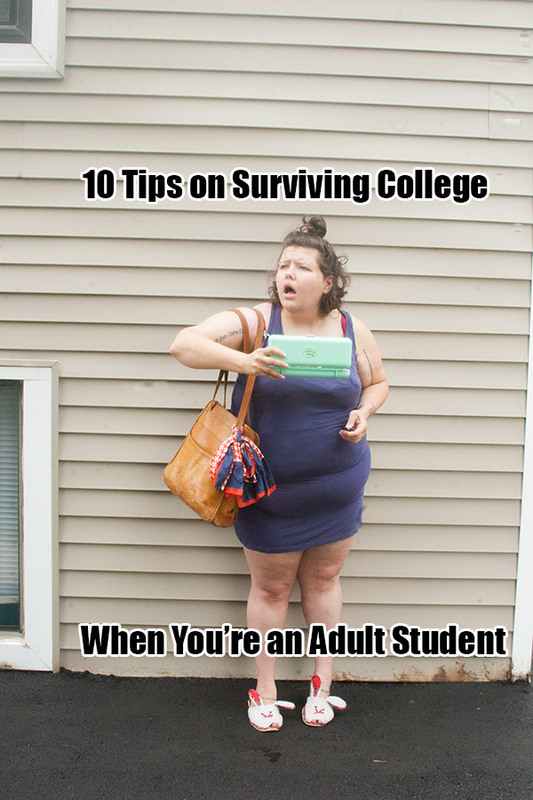 I have come up with a few tips that will help you if you are a young college student or an older student like myself. 3. Keep a journal. I keep a journal of my goals. I know this sounds really silly . I take 5 minutes out of my day to list goals. I also take 5 minutes to write things I’m thankful for. It is to remind me that i am fortunate to go to school (even though ill be paying for it forever). Some people are not fortunate to go to school nor afford it. 4. When shopping. Take advantage of student discounts! (the assumption is that most college kids are poor. Granted im not rich I’m “surviving”. I am 100% thankful for all i have.) There are tons of discounts even as an adult student i can take advantage of. To name a few. The salvation army offers 1/2 off on a purchase with showing a college id. I received 6 months free of Amazon Prime for 6 months by showing my student email. Some movie theaters-and other places by showing a college I.D. will get you discounts. 8. Get good study habits. In my prior education i didn’t take a lot of tests, or do things like that. Now that I am studying again. I take tests, i find it easy to go home and get distracted. I take myself to the library at my school or my local library and i study. Take advantage of academic resources! I am a BIG believer in this. I had a teacher in grade school who taught me “No question is a stupid question”. I have borderline ADD. I cant focus a lot and i am easily distracted. I have trouble with my writing as well. I take full advantage of the learning center on my campus. 9. Don’t ever let anyone tell you you are too old to be attending school. Believe me, as an adult student, i never let people tell me im TOO old to learn something. In my first class of the semester everyone was older than me in the class! My dad always taught me, you are “Never to old to learn”. Don’t let anyone influence in what you choose to study. I was fortunate with my parents, they are awesome. They let me choose to study what i wanted to. This time around i had lots of people tell me not to study marketing its not a concrete position. Neither is web design some people would say. I am a firm believer in “How will you know if you dont try?” I let six years of being so down on my self and education i never thought id be here again. I full love marketing. I love the social interaction and the networking. I have to believe in myself and my skills. 10. Finally and lastly, keep yourself in check. Remind yourself what the end goal is. i think its really hard for me, to remind myself what the end goal is. I have had trouble visualizing my career after school because i have been in a non existent career. My professors say I’m proactive and enthusiastic. I tell myself geez Alex, you are doing this for YOU! I have read a lot of good college tips from a lot of people. Granted i go to a local college (AHEM the largest in Des Moines got #DMACC!) Ill probably never get to experience a sorority or your college parties (my idea of a party is a thrift store, and a good cheap meal hey!) Remember this is (well i tell myself a ticket out of Iowa) but i Know to help me make a career i want that 9-5 job so bad i can taste it i don’t have to get paid a lot but i i just want that normality). To quote a rather now famous movie line from “Jack” with Robin Williams ” Please, don’t worry so much. Because in the end, none of us have very long on this Earth. Life is fleeting. And if you’re ever distressed, cast your eyes to the summer skies, when the stars are strung across the velvety night, and a shooting star streaks through the blackness turning night into day. Make a wish. Think of me. Make your life spectacular. I know I did.” – Jack (Robin Williams) With that. I hope these tips help you if you are new to college or returning like myself. Enjoy college that’s what its there for. Yet i am learning all day , everyday. Have a happy Tuesday. Lately, i have been in my mode latey about the workspace. The workspace is the best place to create, relax and enjoy. 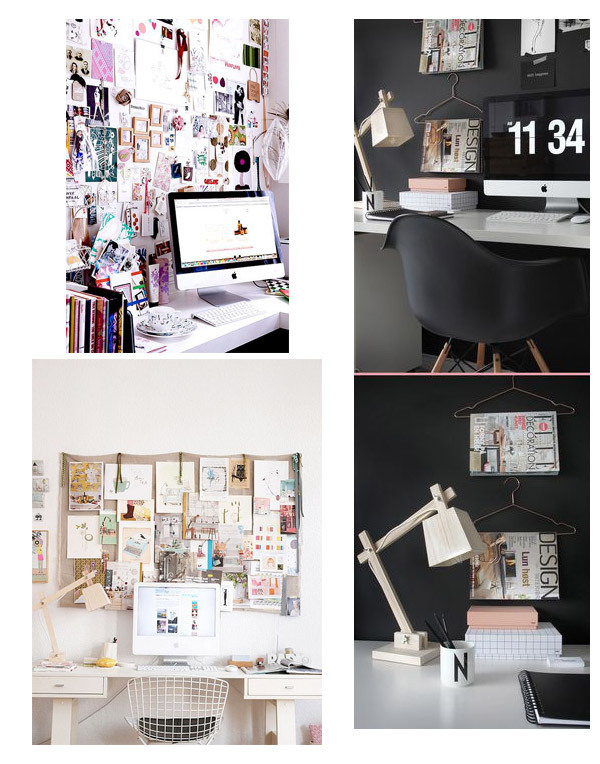 I am all about my workspace and how it needs to reflect me. 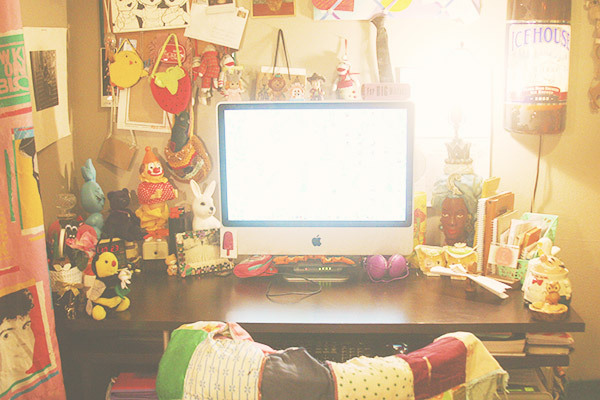 I want to challenge you to write about your workspace and what it means to you. Why do you have the things on your desk? Why do you have things hanging up? What does it mean to you. I am providing a picture of my workspace. This is my happy workspace. It’s filled with cute little trinkets and things. I have found that really make me happy. When i write styled in the heartland, i need to be in a good mood. These things make me happy. I purchased this big desk last winter for only 10.00 at a local consignment store. Probably my favorite thing on my desk now is that head lamp. That was an excellent estate sale find for 3.00. I believe its from the 1950s. Its one of my favorite pieces on my desk. Up in the corner i have my real life Pinterest board. I have cards, things that people have given me and drawings. I have some photos of my best friend and me. Just a few fun things. My desk makes me very happy. Here’s the challenge, show me a picture of your workspace and tell me all about what make you happy when you create in your space! Hi Im Alex , its nice to to meet you! Thank you for dropping by Styled In The Heartland, i hope you like it!